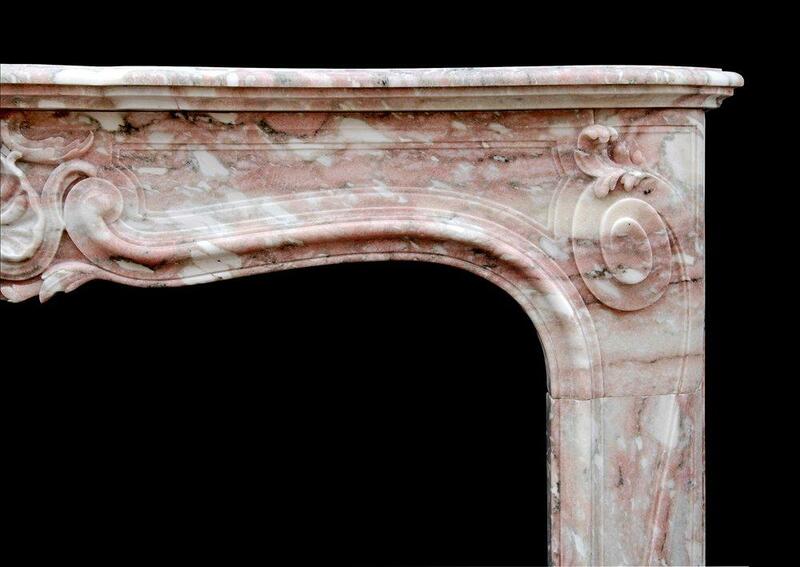 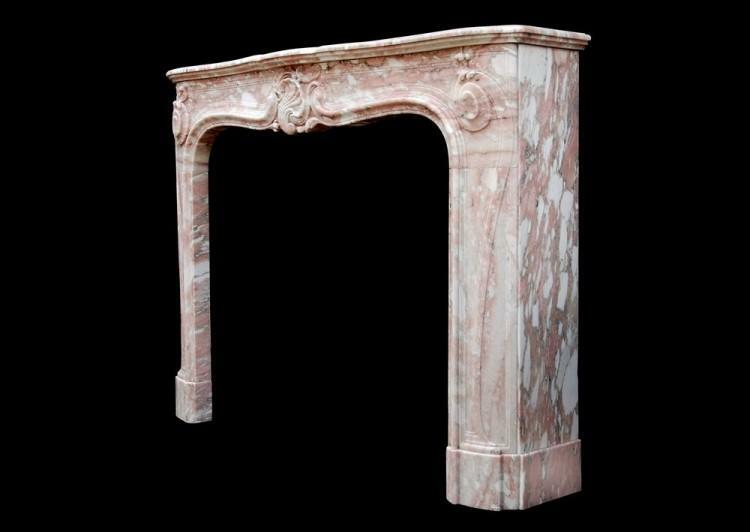 A French Louis XV style fireplace in Norwegian Rose pink marble. The jambs with shaped panels surmounted by carved scrolls and foliage, the frieze with deeply carved shell to centre. 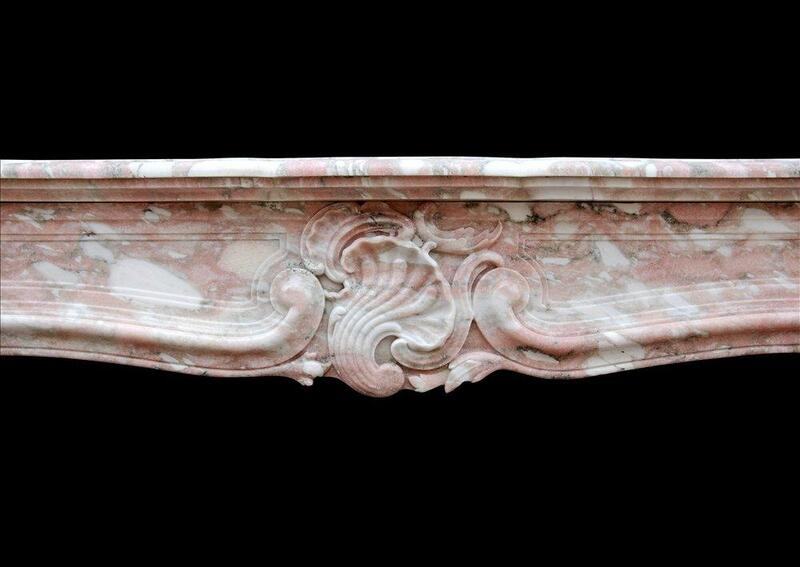 Shaped shelf. 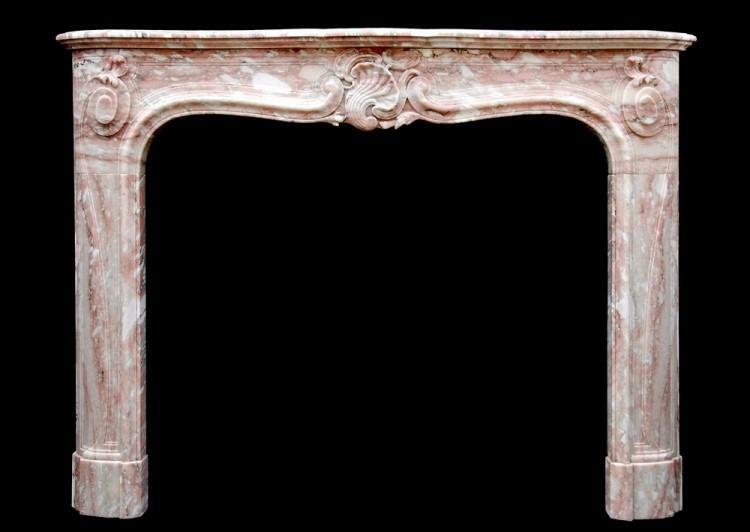 Late 19th / early 20th century.